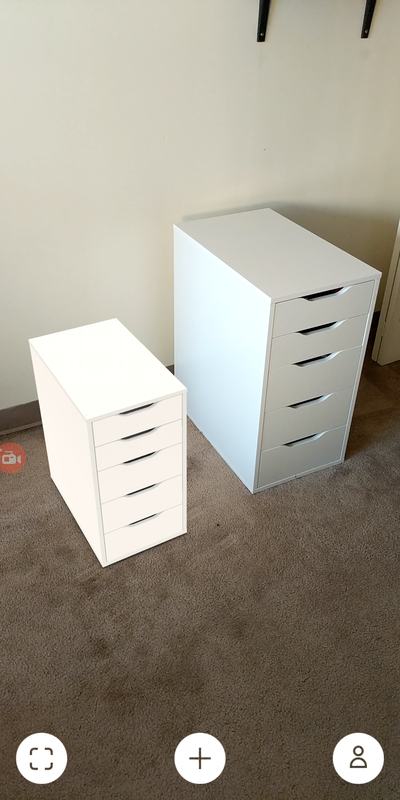 Today IKEA has announced that its IKEA Place augmented reality app, previously exclusive to iOS, is now available for Android. 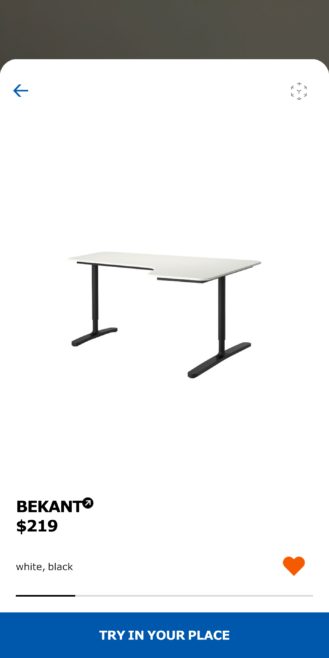 With it, prospective furniture customers can see if a given IKEA product will be a good fit—in every sense. 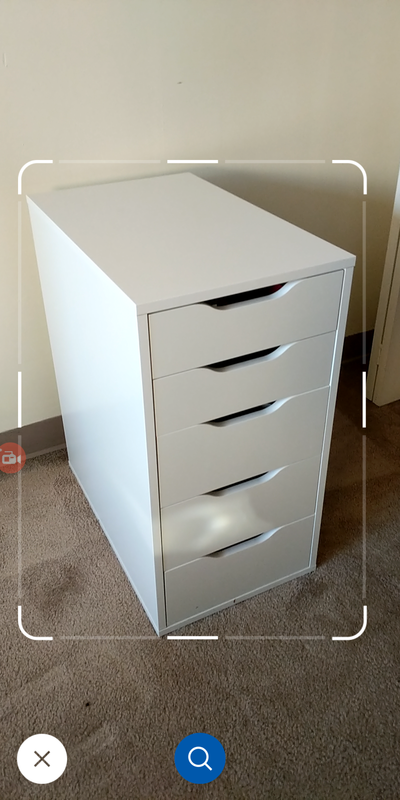 From relative sizes to aesthetic comparisons, you can choose just the right side table, lamp, or shelf to fit your particular niche, and even search for your existing IKEA furniture in the app. IKEA Place is free, but it does have limited hardware compatibility. Since it uses ARCore, you'll need a compatible device like a Pixel, LG V30, or Galaxy S7 (or newer). The app provides "true-to-scale" 3D models for a wide variety of the company's products, allowing you to see what they'd look like in your home before purchasing them. So whether you're just checking to see if a specific lamp will look good next to your existing furniture, or if you're apartment hunting with furniture placement in mind, the app can help. To coincide with the Android launch, IKEA is also teaming up with a lifestyle blogger for a "furnishing game" series called Matchers Keepers. 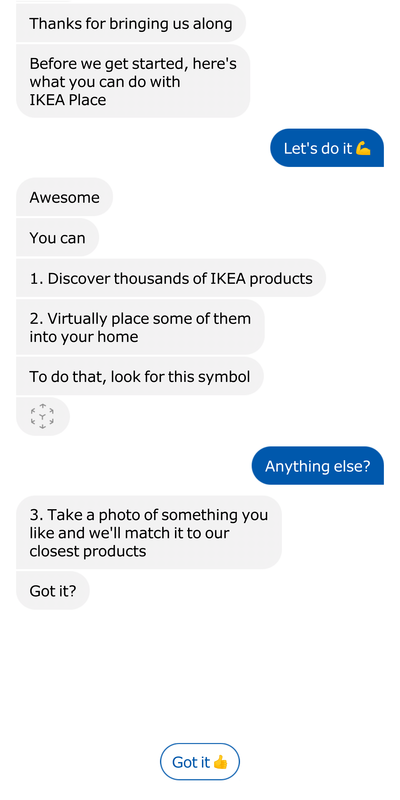 Download IKEA Place onto your phone and the phone of your partner. Select a space that's in need of some home furnishing. Put thirty seconds on a clock, then begin! Search for and Place what you think looks best in the space. Time's up! Share what you've selected with your partner. If it’s a match, keep your partner! If it’s not a match, keep your partner and talk about what you have placed. Then play the game again! But how well does IKEA Place actually work? We were given advance access to the app for a quick hands-on over the weekend, and I was generally impressed with it on my Pixel 2 XL, though it does bug out on occasion. Going from left to right, the first icon lets you search for items you might already have in IKEA's catalog visually, powered by Grokstyle. The second icon allows you to find and select items in the catalog, either by searching in text or via the "Highlights" catalog. The third icon takes you to your saved list of favorite furniture. Visually, the app looks almost entirely identical to the iOS version. That means you can expect to have inconveniently placed back buttons in the top corners for navigation. If you swipe up to use the software back button instead, it'll block those three icons on the augmented reality feed for a while until it slides away. In general, it's obvious the app wasn't designed with Android in mind, and I found myself frustrated with a lot of little things about the interface regularly. 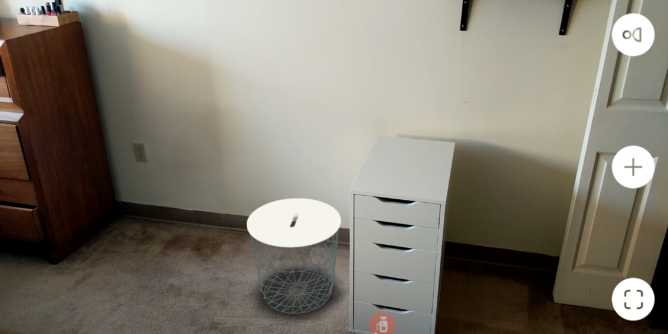 To place an object all you do is select it in the catalog, tap "try in your place," and it will appear floating in the augmented reality view just in front of you. The controls for rotating objects are simple, the standard two-finger twist, but in practice it works inconsistently, resulting in very jerky motion and a lot of frustrating fine tuning. 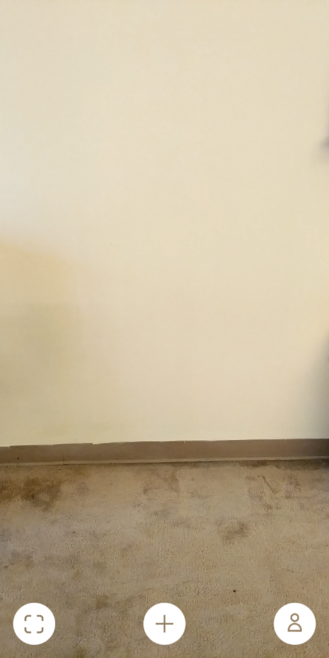 If you want to line something up precisely against a wall, it'll take a while. Once you've got it where you like it, tap the checkmark button, and it will settle on the ground. Just because it's placed doesn't mean it won't move, though. Walking around the BESTÅ storage combination I dropped against a wall, its position slid around by a good foot or so as I went from one side of the virtual sideboard to the other. The size was also pretty far off, so at some level, the app does run into problems either mapping a room or determining depth. How's the Kullen coming along? Ikea doesn't assemble itself, you know. This particular problem cropped up about half the time I used IKEA Place. Sometimes it would map a room successfully and I'd only see a few inches of wobble as I moved around, other times it would be as you see above. Even in the best circumstances, furniture placed via the app moved around at least a bit, and the relative size of objects wasn't always perfect. These should probably be the same size. I'm confident that all of these AR problems are the fault of Google's ARCore and not IKEA, as similar issues are often present when using AR Stickers. Hopefully, Google can improve how it handles mapping spaces in ARCore, so apps like these can benefit. IKEA Place is also locked in portrait, which is pretty annoying. Although you can rotate the display, none of the icons or text-filled menus will turn to accommodate, which gets irritating fast. A locked portrait view of your home probably doesn't provide an adequate sense of space or positioning, especially if you live in a cramped shoebox in the city like me. You can get a better sense of space in landscape (above) but if you enter a menu to add more furniture you have to switch back to portrait, or you get what you see below. All in all, IKEA Place is pretty cool. 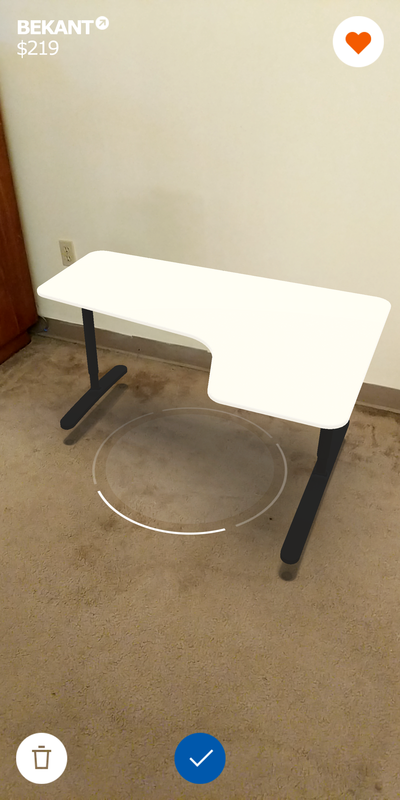 It's mind-blowing that we can see what an entire room full of nonexistent furniture might look like from a phone. The app makes moving and planning things out less risky than guesswork, and less tedious than graph paper and a list of measurements. Augmented reality really is magical. But IKEA Place needs better support for landscape orientations, and the issues with mapping spaces inaccurately need to be ironed out (whether that's a fault of Google and ARCore or IKEA). Making some Android-specific tweaks to the interface would also be appreciated. 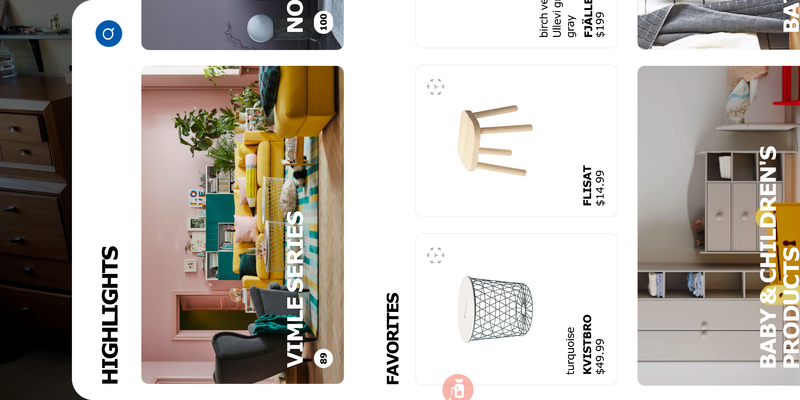 Interested parties can read IKEA's full press release down at the bottom, or check out the app for themselves once it's been pushed live in the widget just below. In a continuing effort to make great design accessible to everyone, Inter IKEA Systems launches a new release of IKEA Place today. The popular augmented reality (AR) furnishing app contains new features and is now also available on Android devices. 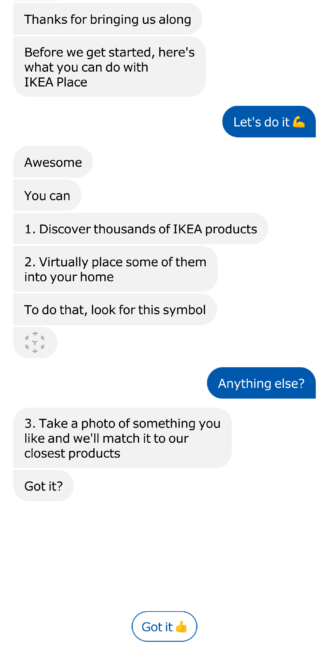 IKEA is opening a world of furnishing possibilities to millions of Android users around the world, allowing more people to see how a great piece of furniture might amp up their space. IKEA Place lets users confidently experiment, experience and “place” 3-D representations of more than 3,200 IKEA products into their space to ensure that they are just the right size and design. From sofas and lighting to beds and wardrobes. 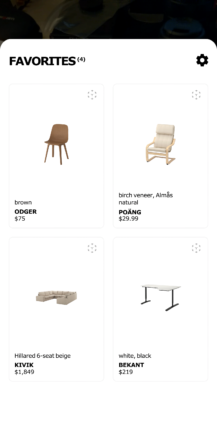 IKEA Place is now available on Android for all ARCore compatible devices. “When we first launched IKEA Place, we gave our customers the opportunity to ‘try before you buy’ for the first time since IKEA was established. Customers truly appreciate that and we are now helping them to create a better life at home using our AR technology. 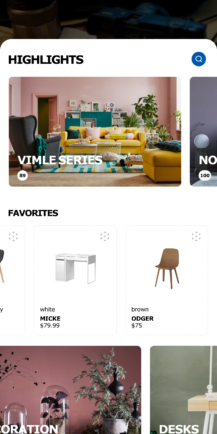 Today’s release is about bringing the ease of IKEA Place to over 100 million Android devices”, says Michael Valdsgaard, Leader Digital Transformation at Inter IKEA Systems. The latest release has a range of new features, including Visual Search powered by Grokstyle. This allows people to take a picture with their phone of any furniture they see, and then find similar or matching IKEA products through the app, ready for purchase. “Barriers between the digital and physical world are disappearing fast. To keep pace with that change, we focus on opening up new ways for people to access IKEA, wherever they are”, Michael continues. To coincide with the launch of the IKEA Place app on Android, IKEA has teamed up with lifestyle blogger Caroline Solomon (@lowcheekbones) to explore the potentially relationship-saving service IKEA Place provides. The app makes it fun and easy for couples, families and friends to reach common ground on design choices. ‘Matchers Keepers’ is a gameshow series, hosted by Caroline, where couples and flatmates team up and find out how well their tastes really match. The premise for the game is simple, and easy to play at home. Contestants use the IKEA Place app to pick and place a variety of furniture items over a series of three rounds. Teams score a win by picking out matching items and placing them in the same spot in their room.